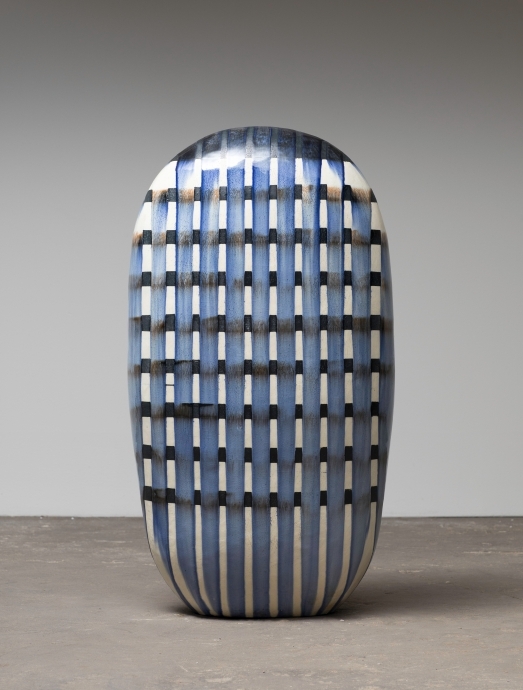 "Scale in nature presents a great challenge to all object-makers. 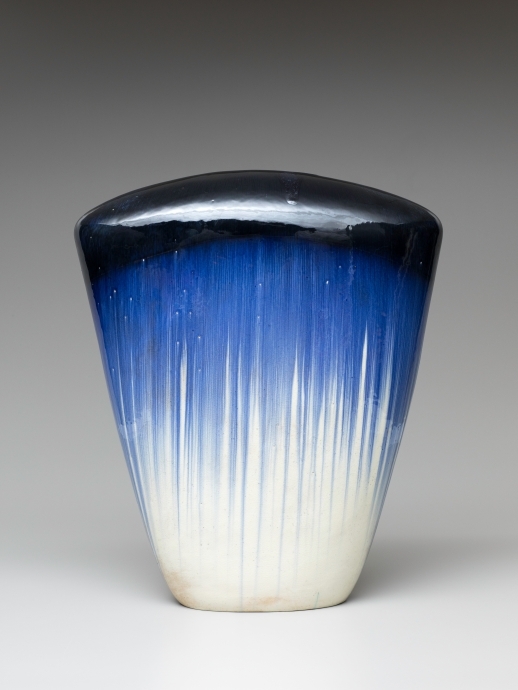 Mountains, oceans, wind, and fire are all greater in scale than anything we could ever create. 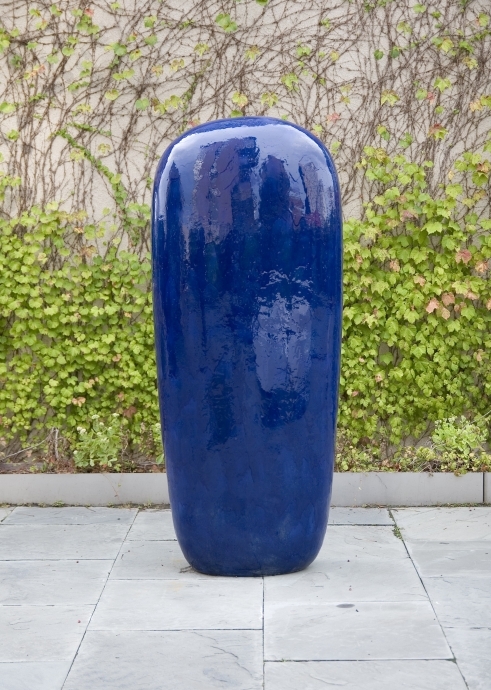 This reality of scale in nature presents us with the interesting problem of how to make man-made objects that are as strong as those in nature . 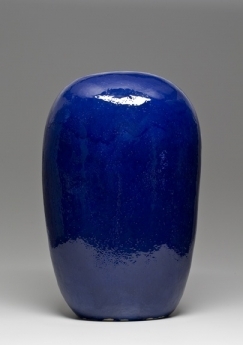 . ."
between the viewer and the viewed object." 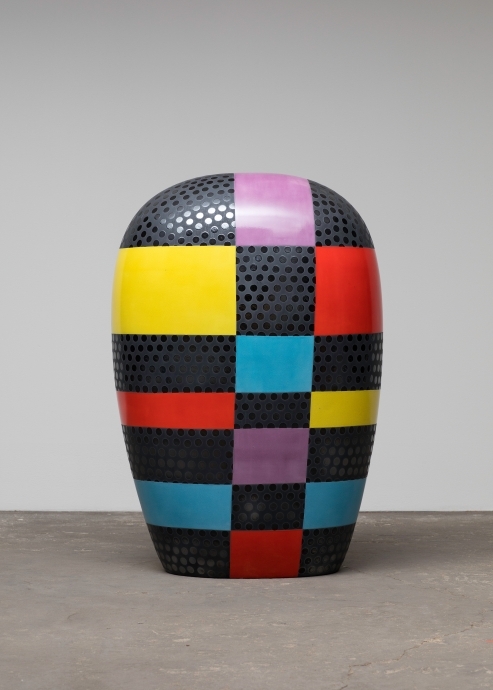 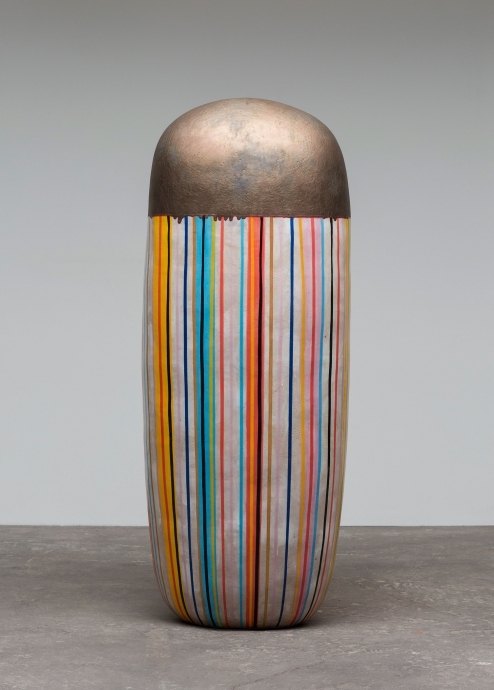 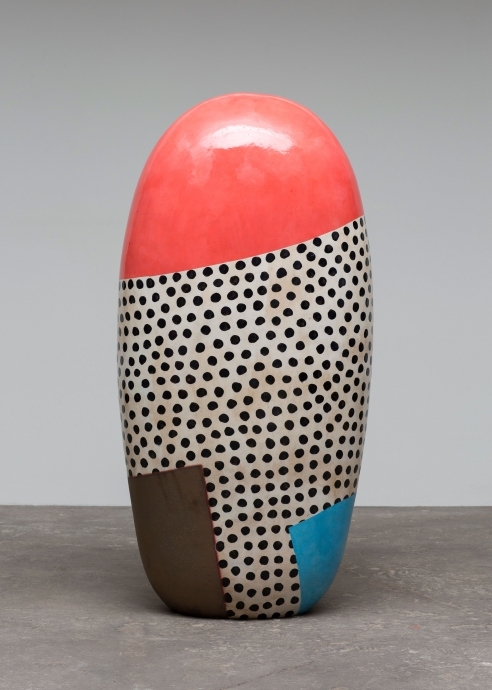 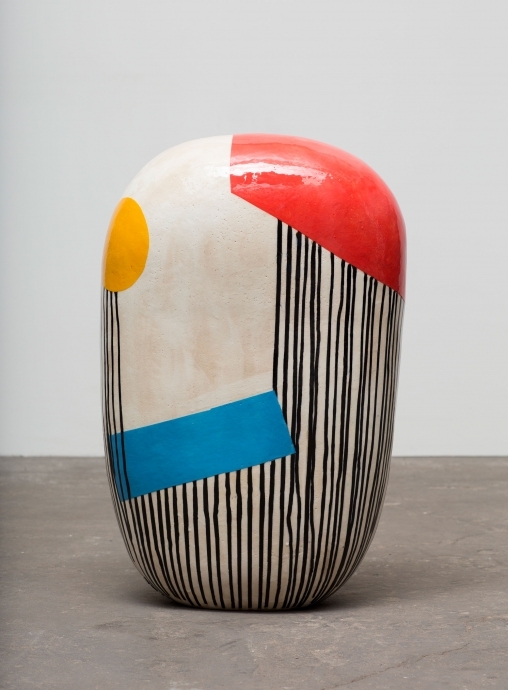 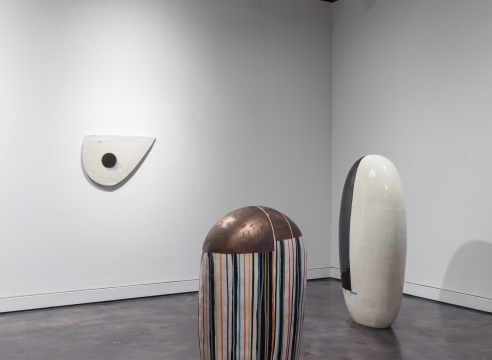 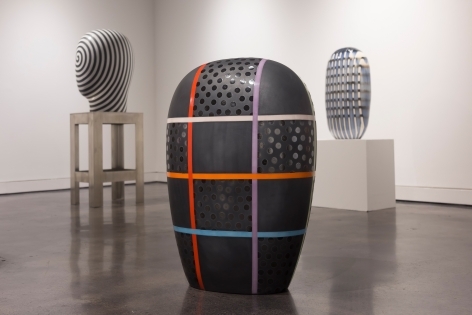 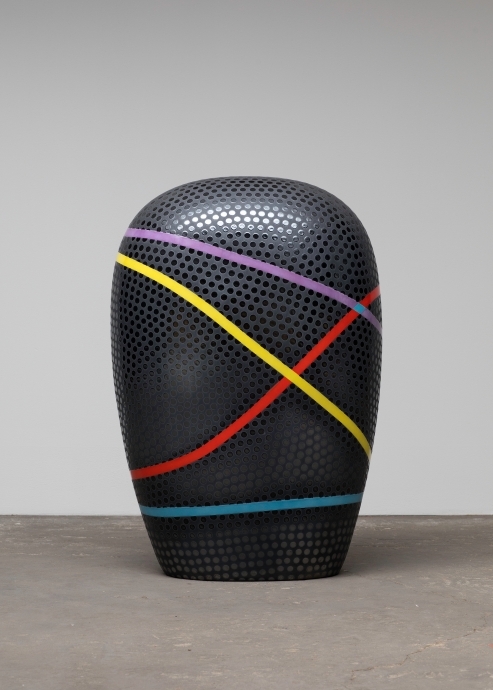 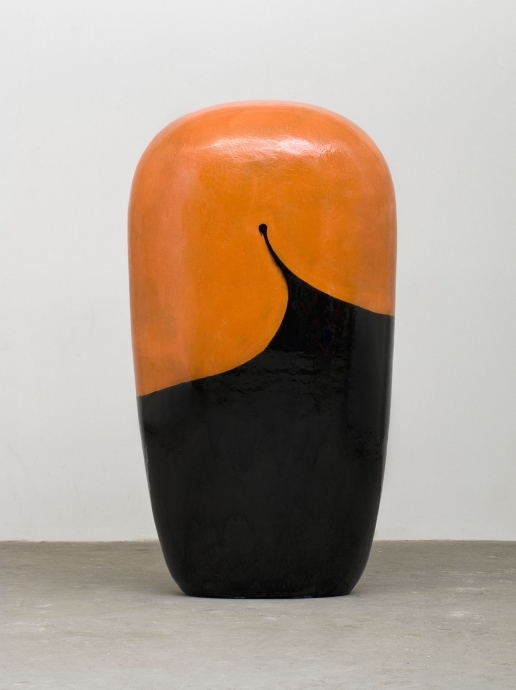 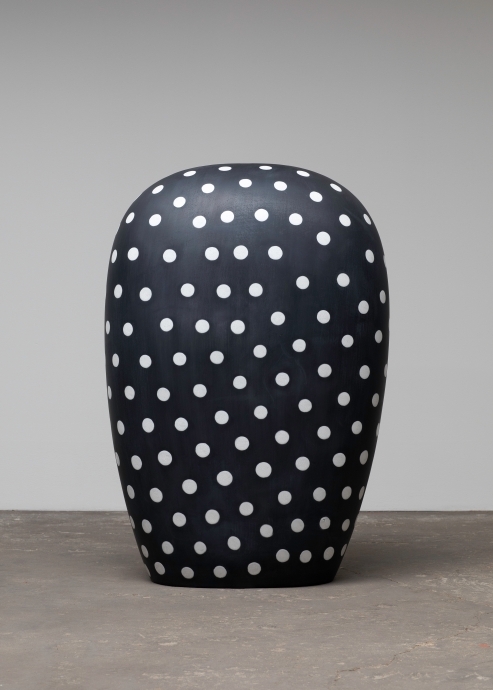 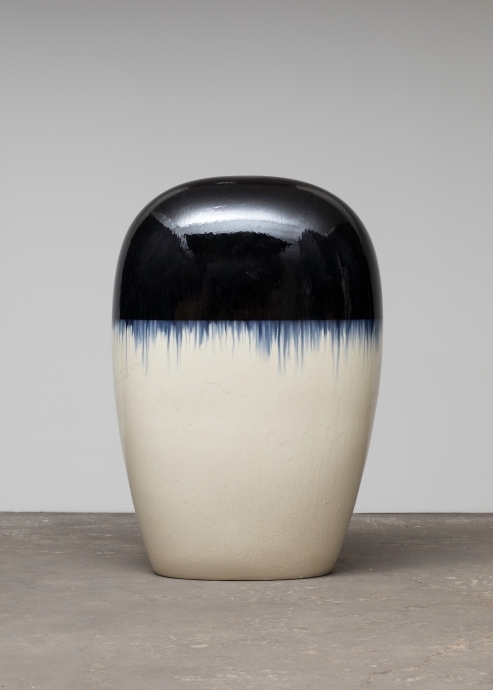 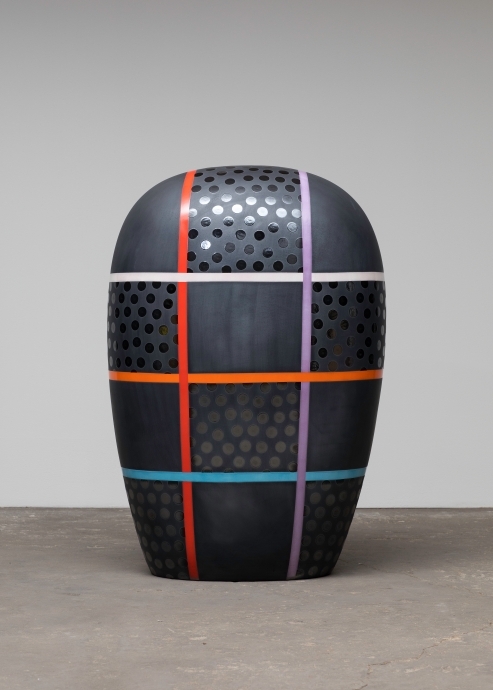 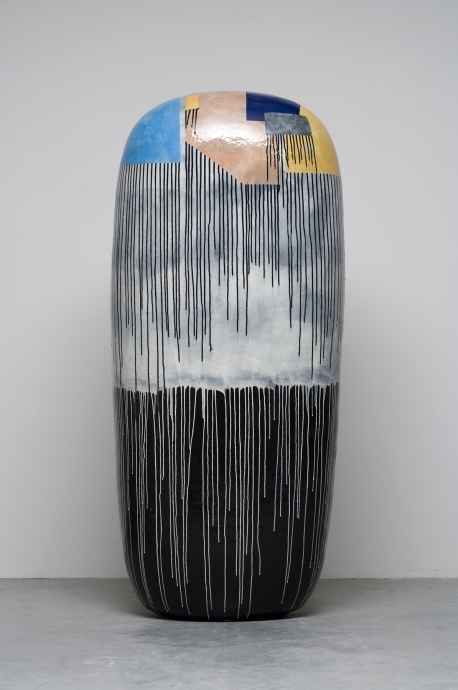 Jun Kaneko, born in Nagoya, Japan has pursued a dynamic and varied studio practice in painting, sculpture, ceramic and installation since studying in Los Angeles in the ‘60s and apprenticing with Peter Voulkos and other ceramic artists associated with the California Clay Movement. 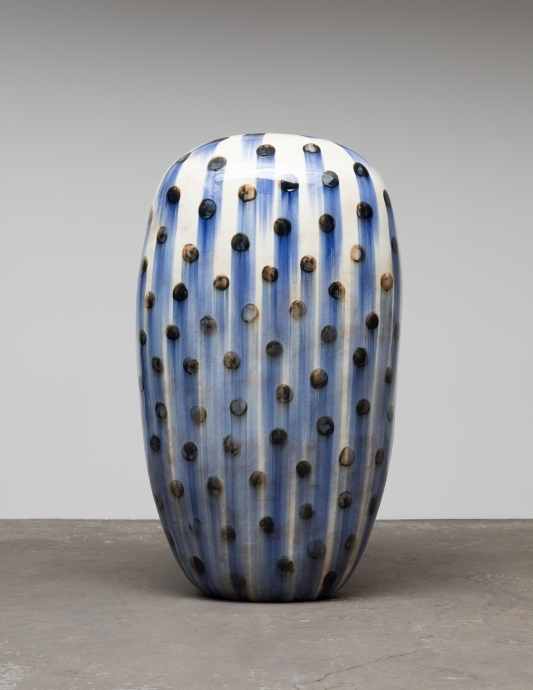 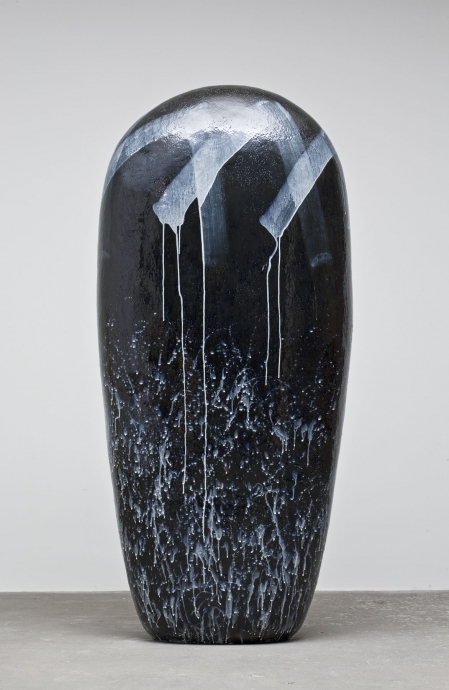 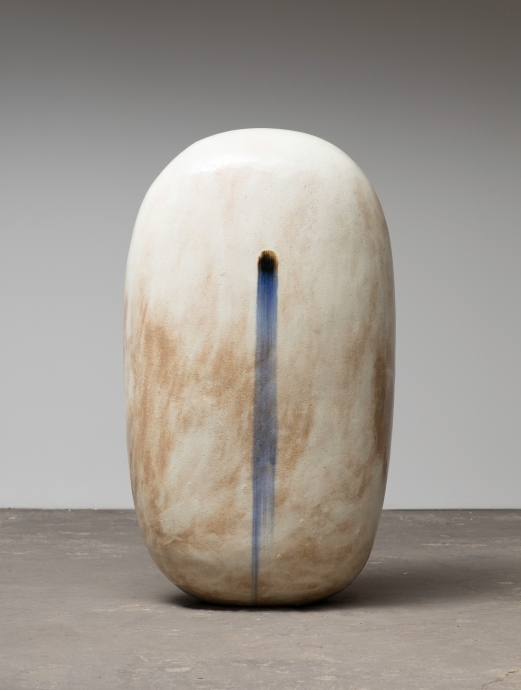 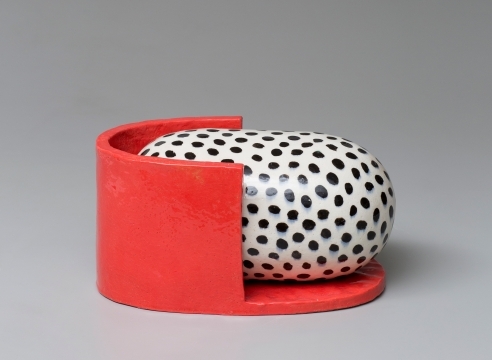 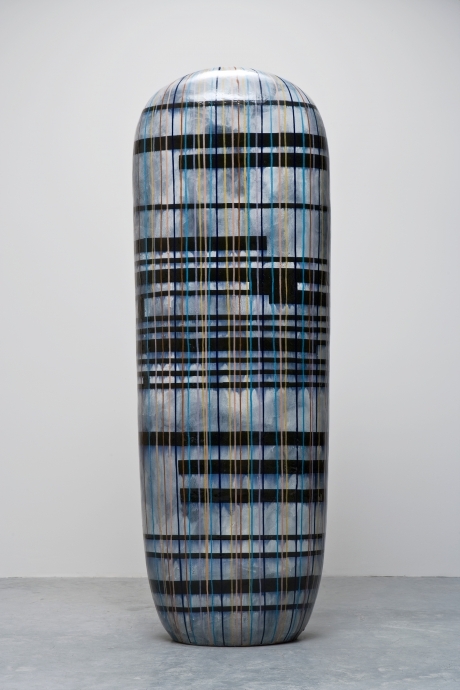 A pioneer in the field of monumental ceramics, Kaneko's work is in over fifty museum collections throughout the world including Arabia Museum, Helsinki; Detroit Institute of Arts; Los Angeles County Art Museum; Museum of Art and Design, NY; The National Museum of Art, Osaka; Philadelphia Museum of Art; Phoenix Art Museum and Smithsonian American Art Museum. 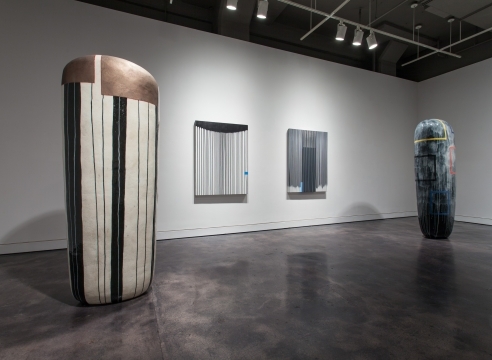 Kaneko has taught at some of the nation’s leading art schools, including Scripps College, Rhode Island School of Design and Cranbrook Academy of Art. 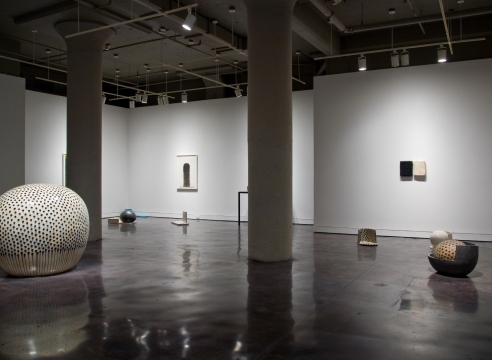 Upon moving to Omaha, he became one of the co-founders of the nationally renowned Bemis Center for Contemporary Arts. 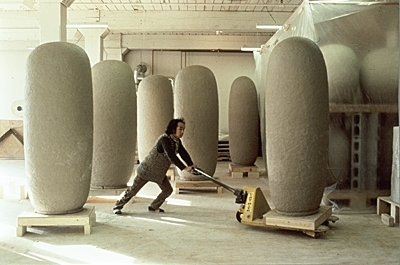 In 1998, the artist and his wife Ree founded KANEKO, a non-profit cultural organization that hosts unique educational programs and exhibitions in turn-of-the-century warehouses in the Old Market District of Omaha. 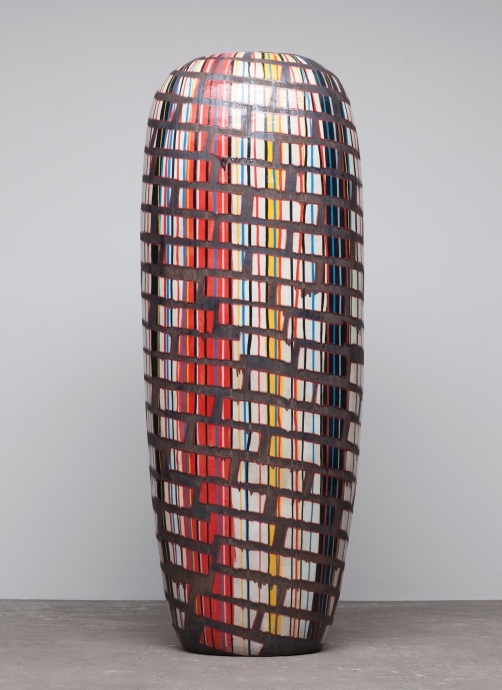 He now holds honorary doctorates from the University of Nebraska, the Massachusetts College of Art & Design, and the Royal College of Art in London. 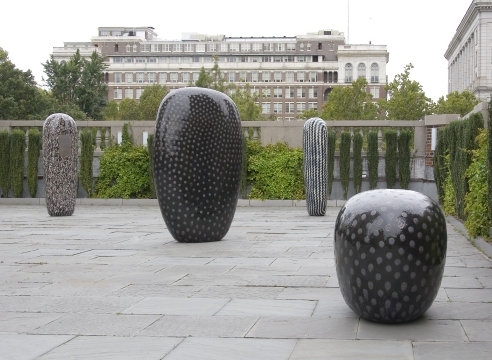 The world premiere of his production design for Beethoven’s opera Fidelio occurred in Philadelphia in 2008 which coincided with installations of his work at the Philadelphia Museum of Art, the Kimmel Center, the courtyard at Philadelphia’s City Hall, and the Locks Gallery roof garden. 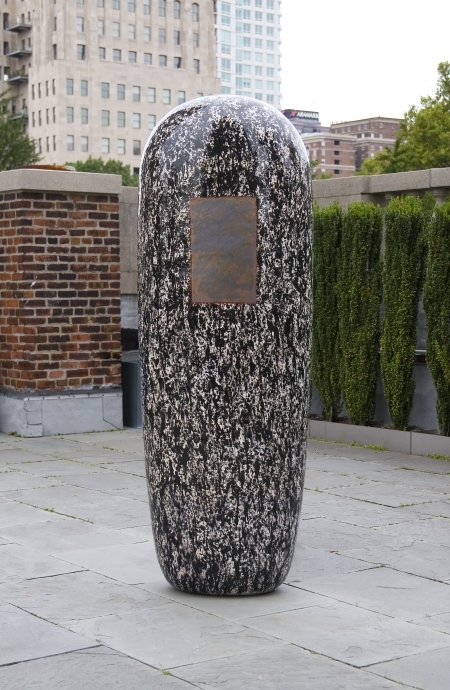 His first opera production, for Puccini’s Madama Butterfly, debuted at the Omaha Opera in 2006 and has traveled nationally. 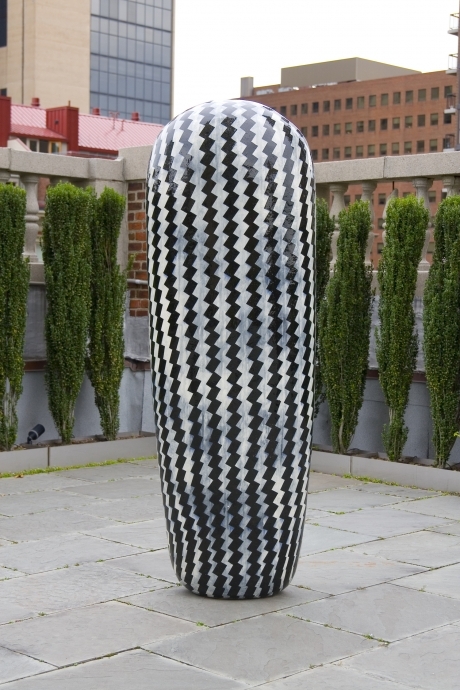 Most recently, his design for Mozart’s The Magic Flute premiered at the San Francisco Opera in June 2012 and traveled to the Kennedy Center in Washington, D.C. in 2014. 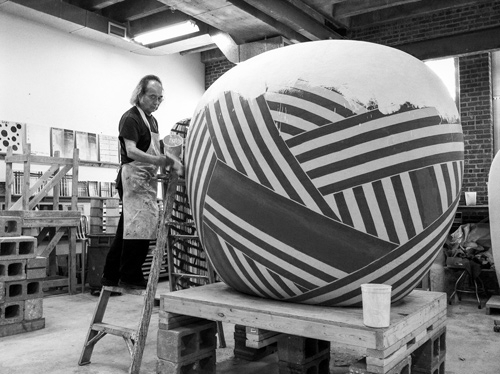 Over his career, Kaneko has become increasingly drawn to installations that promote civic interaction, completing over fifty public art commissions, and a memorable 2013 installation of his large-scale works in Millenium Park in Chicago.